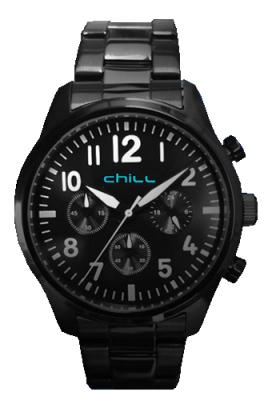 Chronograph dress watch with 41mm stainless steel black IP plated casing. Japanese chrono mpvement, water resistrant to 5 ATM (50 meters). S/S Black IP Metal band to match. 5 year warranty.